Does your pet know things you don't? Are animals aware of God? Is it right to kill and eat animals? How does God use animals? Here is the book that addresses these questions and more. As an animal behavior consultant, Susan Bulanda draws on years of professional experience, scientific reading, and theological study to present a biblical view of animals: how they behave, how God sees them, how he uses them to accomplish his purposes, and how they fit into the rest of creation. So whether you are a committed Christian who loves animals, or an animal lover who is curious to know how the Christian scriptures address animal issues, read on. You will find plenty to inform and delight you. 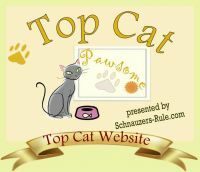 Susan is an author, lecturer, and canine and feline ethologist who lives in Pennsylvania. Paperback inspirational book from Cladach Publishing, 127 pages. Original release date May 30, 2008. Available to backorder from the publishers. Backorders may take up to 90 days to ship, although most arrive within 4-6 weeks if they are still available.